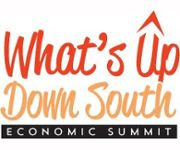 Every year there is an economic summit for business people in Southern Utah to attend that talks about everything that will be happening that year that will affect our economy. It is a very good event with a lot of information. If you own a business in St. George you won't want to miss this event. Pre-registration ends today at 5:00 pm! Be sure to register today if you want the discounted price of $95.